An Electronic Chart Display & Information System (ECDIS) is a computer-based navigation information system that complies with International Maritime Organization (IMO) regulations and can be used as an alternative to paper nautical charts. IMO refers to similar systems not meeting the regulations as Electronic Chart Systems(ECS). 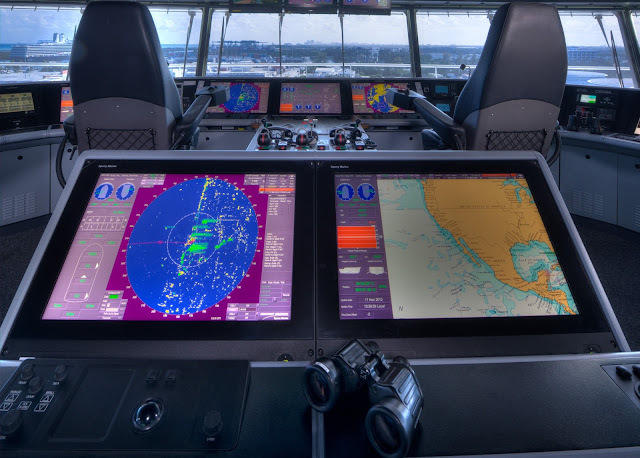 An ECDIS system displays the information from electronic navigational charts (ENC) or Digital Nautical Charts (DNC) and integrates position information from position, heading and speed through water reference systems and optionally other navigational sensors. Other sensors which could interface with an ECDIS are radar, Navtex,automatic identification systems (AIS), and depth sounders. ECDIS provides continuous position and navigational safety information. The system generates audible and/or visual alarms when the vessel is in proximity to navigational hazards.